From industrial waterfront to the city’s center of tourism and festivities, Baltimore’s Inner Harbor has seen remarkable transformations. This people’s history tour of the waterfront will include a discussion of past controversies and present challenges. Secret loading docks, coded brick patterns, environmental engineering, and forgotten monuments all reveal Baltimore’s hidden truths. 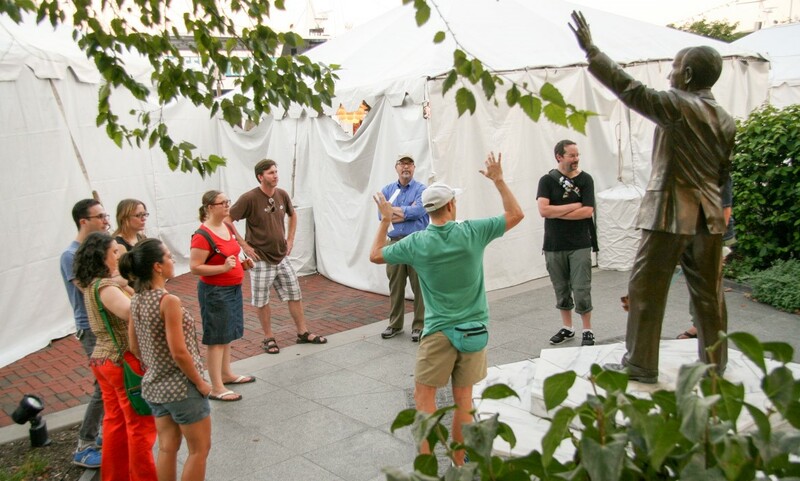 Our guide, public artist and preservationist Graham Coreil-Allen, is known for including a few playful, participatory activities designed to highlight aspects of the harbor’s history and current use. Be prepared to learn a lot and have a little fun on this walking tour!